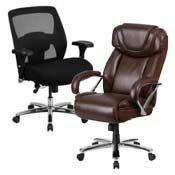 Big & tall chairs provide the security and comfort you need to sink into your chair with confidence, knowing it will keep you comfortable for hours on end. 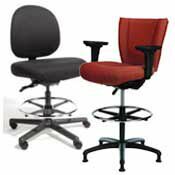 Find a chair that’s sturdy enough to support up to 500 pounds and tall enough to support your head and neck. Look for the functionality to adjust the seat height, tilt tension, seat back height and arm rests to fit your exact body type.